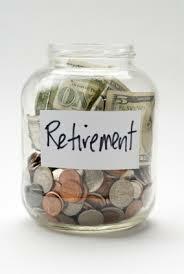 For many people, their retirement assets consist of accounts such as an employer sponsored 401(k) plan and/or IRA accounts. The reason for doing so it obvious: they allow for either tax-deferred growth of your hard earned money. One pitfall of these accounts is what will happen to them when you pass away. Most of us already know who will receive these accounts, because, of course, they are set up with beneficiaries. The difficulty is that the rules governing distribution are complicated and our beneficiaries can sometime be stuck with unintended tax burdens when their “inherit” an IRA (or other tax deferred retirement account). An IRA Beneficiary Trust can be used to maximize the retirement benefits received by your loved ones (beneficiaries) and protect the funds from creditors, poor financial management and even divorce! What does An IRA Beneficiary Trust do? 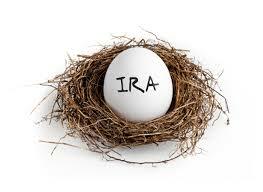 The IRA Beneficiary Trust is a stand-alone (separate) document, apart from your existing Revocable or “Living” Trust. While is can be modified during your lifetime to reflect your beneficiaries needs, upon your death it become irrevocable. The tool allows your beneficiary to take advantage of the stretch out benefits of your remaining IRA – in other words, a properly structured IRA trust can allow your retirement accounts to grow exponentially (while remaining tax deferred). 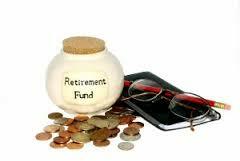 A $250,000 IRA account can grow to $10 million or more (depending on the age of the designated beneficiaries)! Is An IRA Beneficiary Trust Right for YOU? Is the combined value of your retirement accounts (including 401(k), Roth IRA, Sep IRA and other tax-deferred plans) for both you and your spouse (or significant other) at least $150,000? Are you concerned about protecting the finances for one or more of your designated beneficiaries? If your answer to either of these questions is yes, then an IRA Beneficiary Trust may be right for you. If you would like to discuss an IRA Beneficiary Trust or other estate planning matters, please contact Thatcher | Law, or schedule an appointment. Next Article Is An Estate Plan the Perfect Holiday Gift?